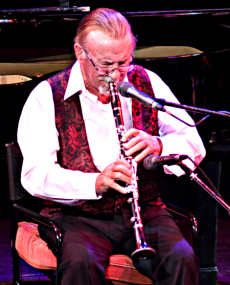 Les, who passed away on Sunday 18th November aged 67 after a three year fight with cancer, was Acker Bilk’s Tour and Stage Manager along with mixing the band’s stage shows for over 40 years. The first time I met Les was in 1979 in Rotterdam when I was working with Max Collie’s Rhythm Aces and we were supporting Acker’s band at De Doelen Concert Hall. We had a bit of a row on that first meeting because I’d left the theatre an hour before the concert started to get diesel and got stuck in a traffic jam missing the start of the concert. So Les had to mix an act he didn’t know. We had a good chat during the interval and I apologised. Since then we always got on well. Les, like myself, started as a roadie on the pop and rock music circuit and also worked with my favourite all time band The Who. It was during one of The Who’s breaks from touring for a recording session that Les became available to join Acker’s band as a roadie. At the end of the tour Acker asked him to join full time. 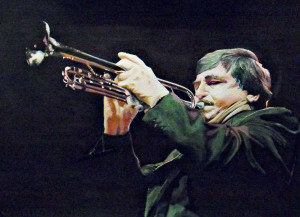 Les accepted Acker’s offer and so began his 40 year association with the band. Pam Sutton, Acker’s manager, is quoted as saying that Acker treated Les like a son and for sure Les looked after Acker as a son would, especially as he got older. Les was always my first call if I needed a dep for my job with Kenny Ball or Monty Sunshine and I was his first call for any gigs that he couldn’t do for Acker. We trusted each other to be reliable and to mix a good sound for the audiences. Over the years Les and I worked on probably 200+ concerts with “The 3 Bs” – Ball, Bilk and Barber. Then there were the “Giants of Jazz” shows with Kenny, Acker, Humph, George Melly and Terry Lightfoot’s bands. Plus Kenny’s and Acker’s Back-to-Back shows! 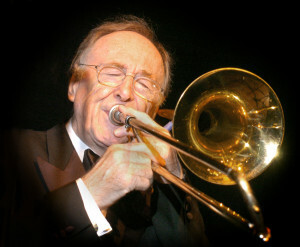 Les had an artiste’s booking agency named Jazzco and was also a partner with Mick Brown, the son of the late Kenny Ball’s roadie Pete Brown, in a company named Cabaret Casino that hired out Blackjack and Roulette tables to companies for their annual parties and also supplied the equipment seen in the James Bond film Casino Royale. Les was a true professional in all that he did in life and leaves his partner Carol and his two daughters, Louise and Becky, who were at his bedside at the end. I saw him on that afternoon and said my goodbyes to a smashing bloke who will be sorely missed by his family, friends and everybody in the Jazz world who knew him. Please could you let me know who/how many you forward to just so we can gauge approximate numbers. Flowers will be from family only but we welcome donations to both St Luke’s Cancer Centre and the Royal National Lifeboat Institution. Russell Road, Shepperton TW17 9HX from about 1 pm. Musicians invited to bring instruments for a blow..